Remember the Gocco? It was a compact, Japanese screenprinting system that has not been manufactured since 2008 (although you can still find them on eBay). I used one for a few years to do simple at-home printing projects. It’s a very different experience than taking a studio printmaking classes during my years as a VPA student at Syracuse, but it was satisfying to be able to print quickly and easily at home. Now that the boys are both in school, I’ll be on the hunt for a studio screenprinting class. 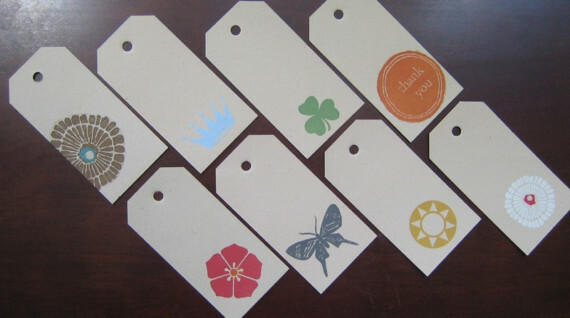 Back in 2006, I made a lot of gift tags. A lot. I enjoyed making all sorts of gift embellishments, really. To me, wrapping and decorating a gift is almost more fun than buying it! 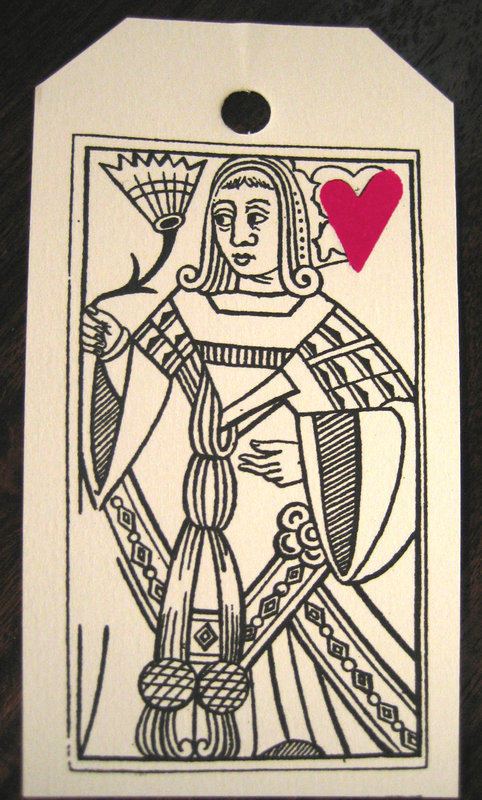 For the Queen of Hearts tags I started by printing the main image onto kraft gift tags with black ink using the Gocco. 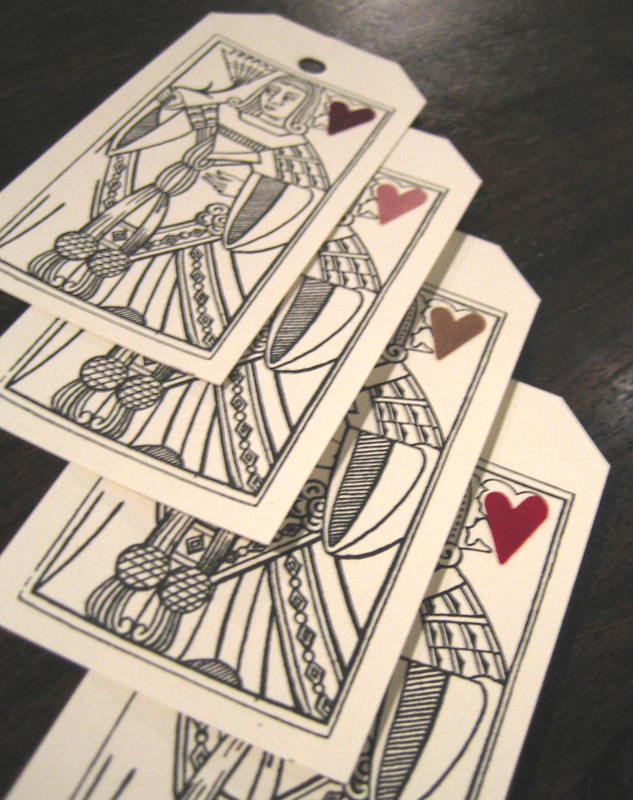 Red, pink, burgundy & chocolate velvet paper hearts were then added with craft glue. Simple, right? All the other tags are even simpler. 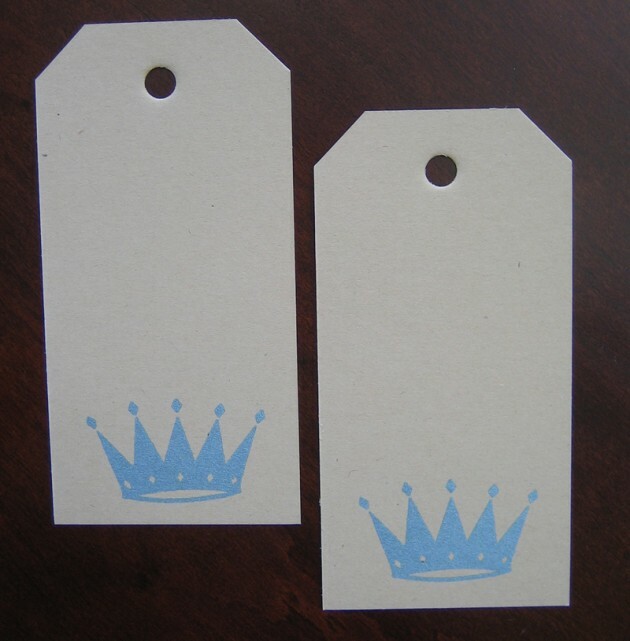 Just one- or two-color prints onto kraft tags. For two-color prints, I painted both colors onto the screen at the same time and printed.